Does the contracting party have the ability to comprehend, in a reasonable manner, the nature and effect of the act in which he or she is engaged, and or the business which he or she has transacted? With the aging of our society there is increasing concern about mental capacity and decision-making ability. Fortunately, for most of our elders, judgment, insight and other mental abilities remain intact. 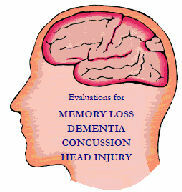 For others insight can be the key to remaining safe in one's home in spite of cognitive limitations. If an individual retains the ability to recognize his or her limitations, appropriate safeguards can be put in place. Unfortunately, diseases like Alzheimer's, Parkinson's, and other types of dementia, can compromise ones mental abilities including insight. California law is very specific in how we determine competency. For example there must be a deficit in one or more of a person's mental abilities. This may include such categories as alertness or attention, memory and understanding, disturbed thought processes like hallucinations or delusions, or inability to regulate one's emotions. Importantly, the deficit must be severe enough to significantly impair the person's ability to understand or appreciate the consequences of his or her actions with regard to the specific ability in question. A person may be competent to change a will or execute some estate documents like a power of attorney but unable to enter into more complex transactions or make important medical decisions. A neuropsychological evaluation can address the specific capacity issues at hand. Is the client able to make important decisions with regard to finances, medical treatment, or other important decisions? Is the client competent to execute a power of attorney or would it be more appropriate to move towards conservatorship. Is the client susceptible to or the victim of undue influence or financial abuse? 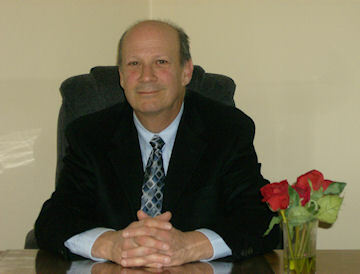 Dr. Wolfe is a member of The Marin County Financial Abuse Specialist Team (FAST). FAST was founded in 2005 to educate the public and professionals about the growing crime of elder financial abuse; provide case consultation to adult social service agencies and law enforcement on financial abuse cases; and to strengthen collaboration between public and private agencies. medical consultations and legal referrals. on matters of mental disability.